This Shell Delivers Flexible Solutions. Step 1: We come to you! Step 2: Load it up. 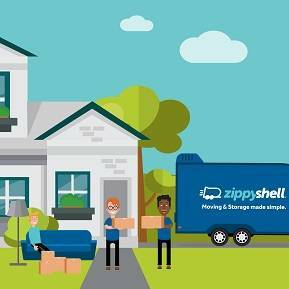 Or, ask your Zippy Shell representative for a loading and packing service referrals to help with the heavy lifting. These services are provided by third parties coordinated by Zippy Shell. Step 3: All packed! We return to pick up your Zippy Shell. Step 4: Your Shell will be safe and secure at our storage center. The innovative delivery design of Zippy Shell On-site containers allows for placement in tight spots and tough angles. Zippy Shell 16 ft. On-site containers feature barn-style doors and ground level design making the containers very easy to use. Weatherproof design and security locks ensure your belongings will be safe and secure. &bigstar;&bigstar;&bigstar;&bigstar;&bigstar; What a great experience. We were provided Zippy Shells information from our Real Estate Agent and she told how great they were! She was right. From drop off to pick up it couldn't have been easier. Also the price was exactly right. The peace of mind that it provides knowing that our things are being stored safely and securely! &bigstar;&bigstar;&bigstar;&bigstar;&bigstar; Zippy Shell was very easy to work with. They let me know when the shell would be delivered and when it would be picked up. It was really very simple. And the redelivery and pick up went smooth as well. The cost was reasonable compared to their competitors. I highly recommend using them for any storage needs. &bigstar;&bigstar;&bigstar;&bigstar;&bigstar; We had all of our belongings in storage for one year with Zippy Shell and we had a great experience. The DC area customer service center was friendly, communicative, and accurate in everything they said and quoted. The delivery of our shell at the start of storage was complicated due to our tiny alley, but the driver was patient and professional. Delivery of the storage unit at the end was easy, on time, and every single thing was as we left it one year ago. I absolutely recommend Zippy Shell and would totally use them again. &bigstar;&bigstar;&bigstar;&bigstar;&bigstar; We couldn't have imagined a better experience. Best prices, superior customer service, reliable in every aspect and flexible with my schedule and weather conditions. We are more than happy with our experience and I would absolutely recommend this company for your storage/ moving needs! &bigstar;&bigstar;&bigstar;&bigstar;&bigstar; Convenient to use, great customer service. I used their storage for a few months before having my stuff moved out of state. Would use again. 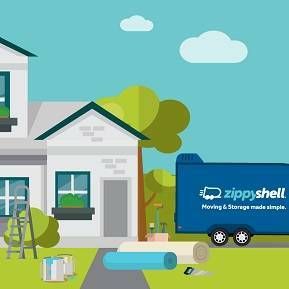 Whether you are just trying to clear out some space in your home or want to store some of your belongings indefinitely, Zippy Shell has an option that will fit your needs. Our portable self storage system is much easier to work with then traditional storage units. You no longer have rent a truck or drive back and forth between your home and the storage facility. 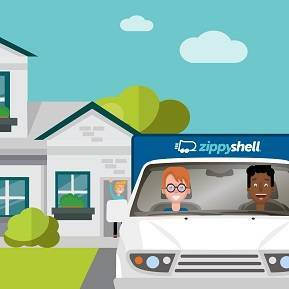 Zippy Shell will bring one of our storage containers to you, then pick it up for storage when you are ready. 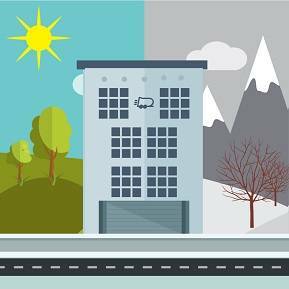 In addition to our self storage options, Zippy Shell also offers on-site storage. Our weatherproof 16 ft. containers can be delivered to your home, office or work site. We have custom built ZPU’s (Zippy Power Units) that allow us to place these storage containers almost anywhere including dirt, grass, mud, and even inclines. For more information on any of our storage services and to get a free quote, give us a call 888-947-7974 or fill out the contact form above.